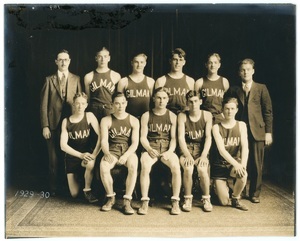 Subject is exactly "Organizations, School"
Description:Scan of photograph of Carl Kelley, Principle of Gilman High School. 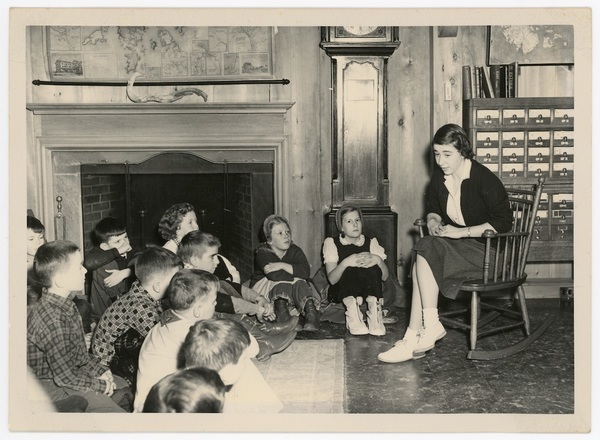 Description:Framed, B/W, 9.5x8" photograph showing student telling stories to elementary school class in front of fireplace of now-replaced old library. 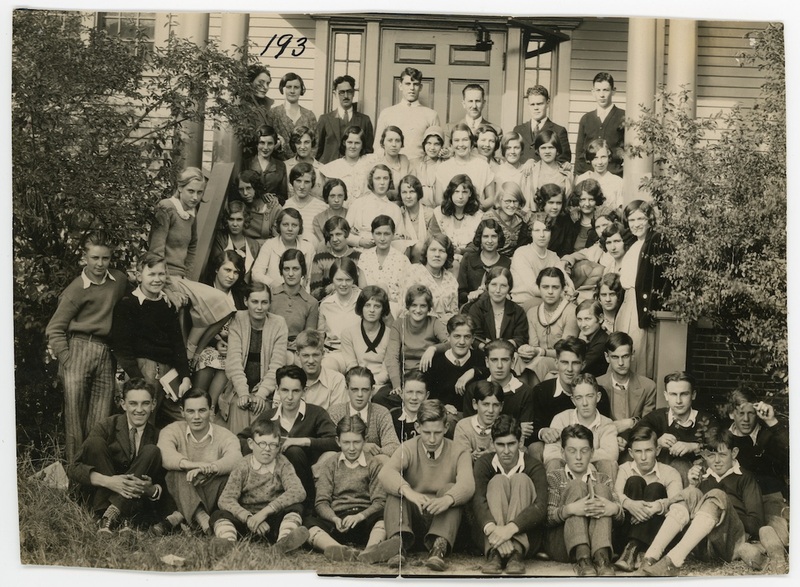 Description:Students of Jan Church in MDES 8th grade research history topics at NEHL: The Gilley Family, Glooskap - Indian Legend, Fred Savage & Wallace Harrison Architects, Early History of MDI, etc. 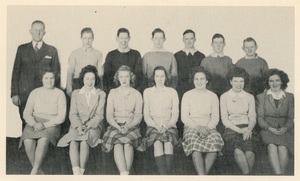 G. Merrill Haskell's high school class. 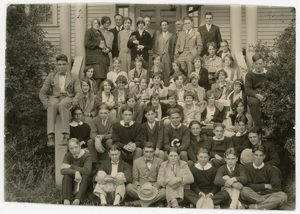 Description:Gilman High School Class. 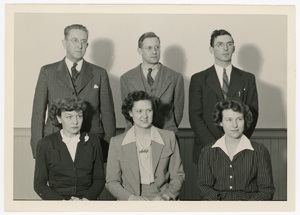 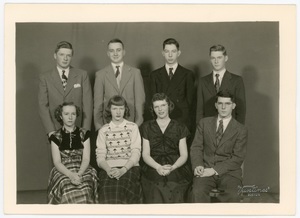 Top row: Charles Savage, Aleta Bagley, John Gordan, Leola Wagner, Lawrence Branscom; Bottom row: George M. Haskell, Mary Reynolds, Clare Carter, Helen McNaughton. 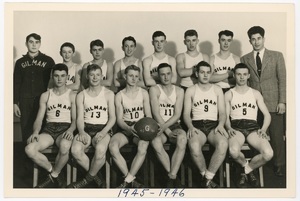 Description:Front row: Pat Salisbury, Al Murphy, Nick Stanley, (2) Coach ?, Dan Bagely, Mike Coombs, Dan Bagely ?, Len Young, Curley Smallidge, Pink Pinkham, Bill Manchester. Team stands at front door of Neighborhood House. 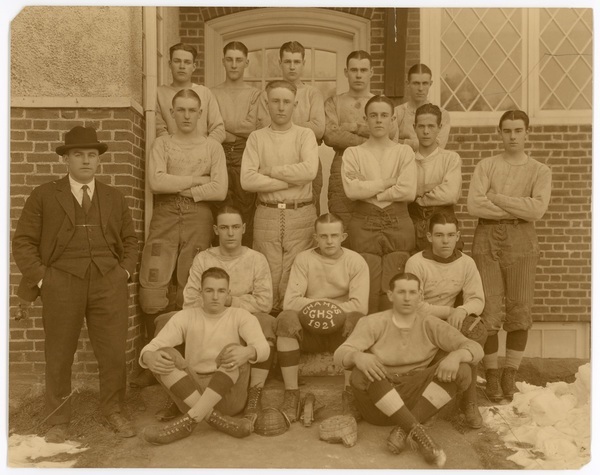 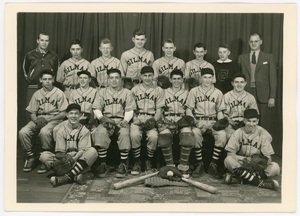 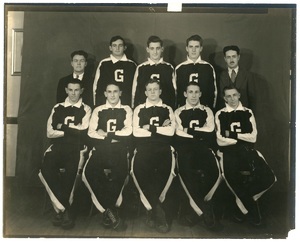 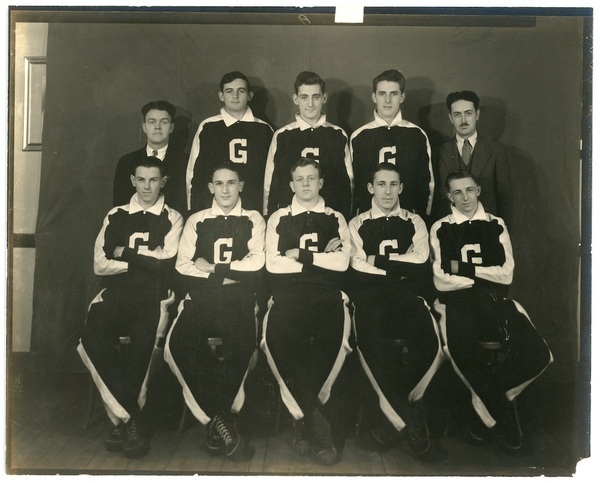 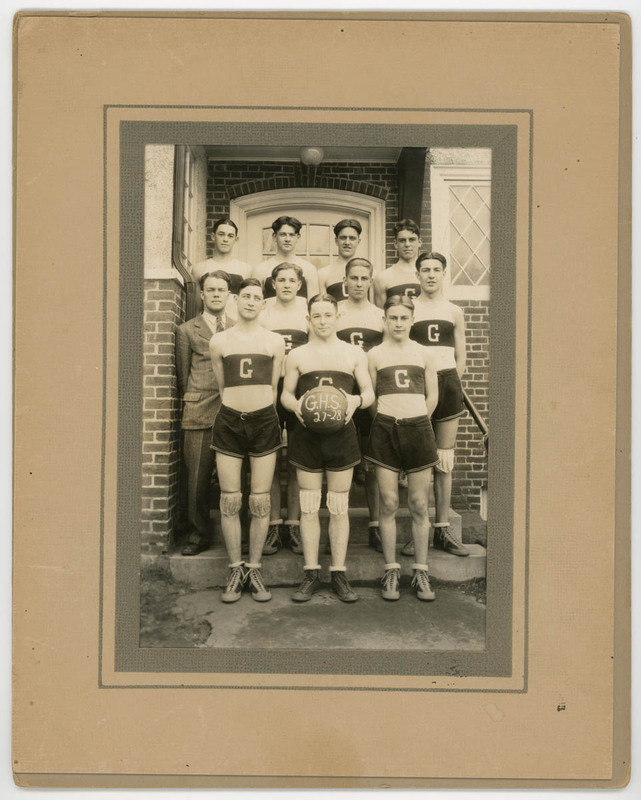 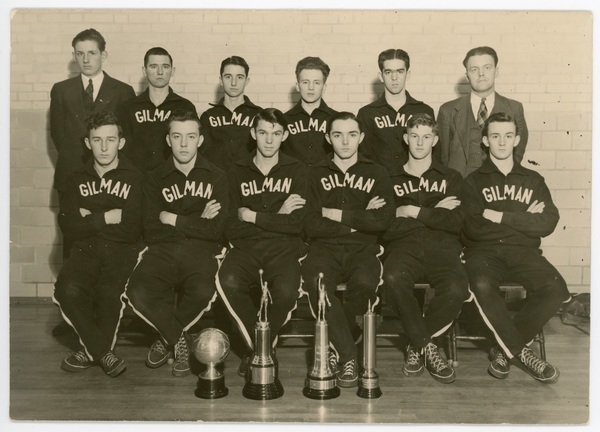 Description:Gilman High School Basketball Team, Northeast Harbor, in 1928. Team members: Ai Murphy, Nick Stanley, Dan Bagley, Mike Coombs, Len Young, Curley Smallidge, Pink Pinkham, and Bill Manchester. 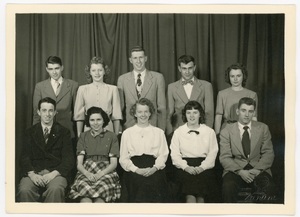 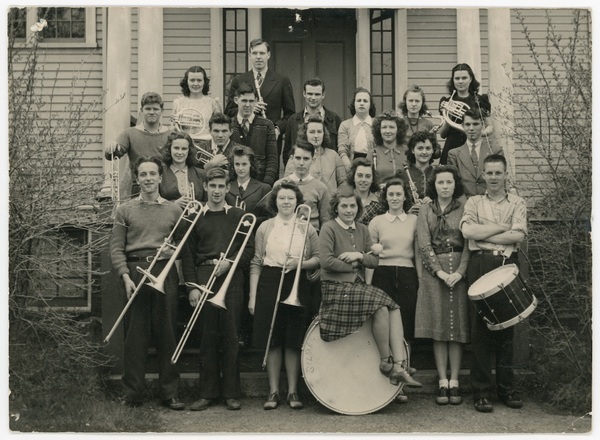 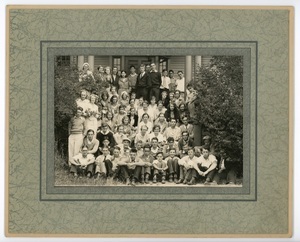 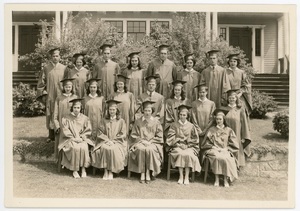 Description:Photograph of the Gilman High School Class of 1947 with teachers standing in front of school. Gene Ashley is 3rd from right, back row. 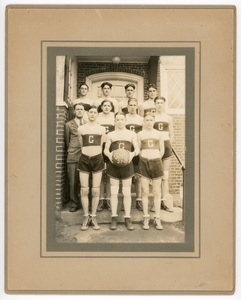 Description:Sixth Annual State Small School Basketball Tournament at the Bangor YMCA. 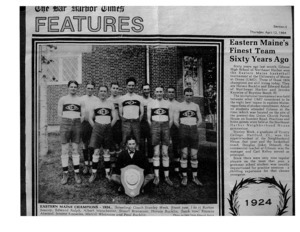 News articles included. 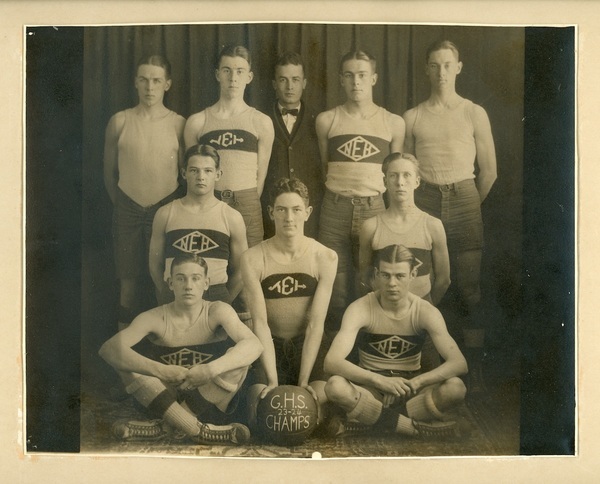 Description:B/W, 19x15", photograph of Gilman High School Boys Basketball Champions 1923-1924. 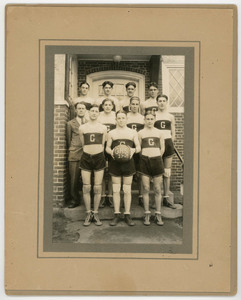 Individuals are not identified. Description:Gilman High Boys Basketball Team: (back) Roland ? 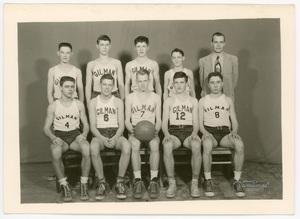 (teacher), Arno Seavey, John Haskell, Richard Smith, Jake Driscoll (teacher), (front) Elmer Greene, Bussy Tracy, John Foster, Eddy Dodge and Kenneth Walton. 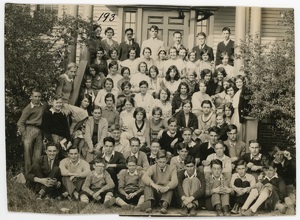 Description:Gilman High School freshman, sophomore, junior and senior classes pictured and names listed. No date. 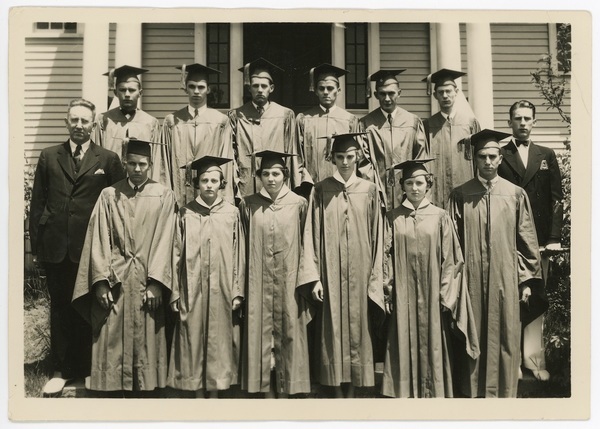 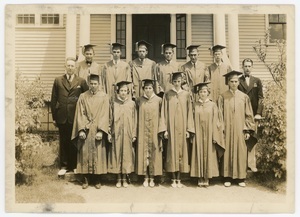 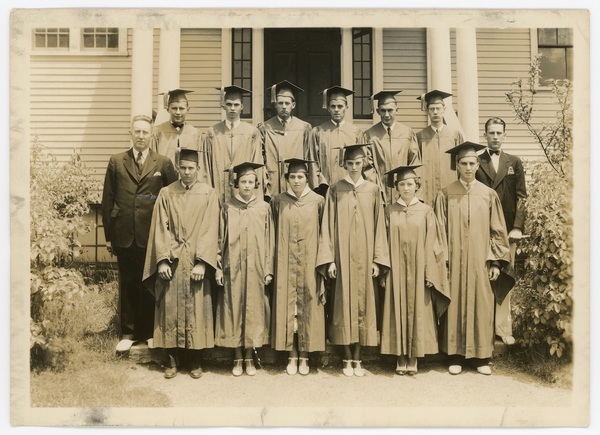 Description:Gilman High School graduation class portrait on the Union Church steps in Northeast Harbor. 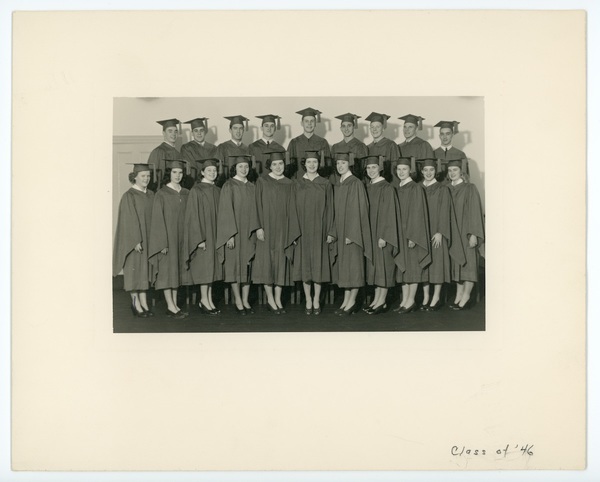 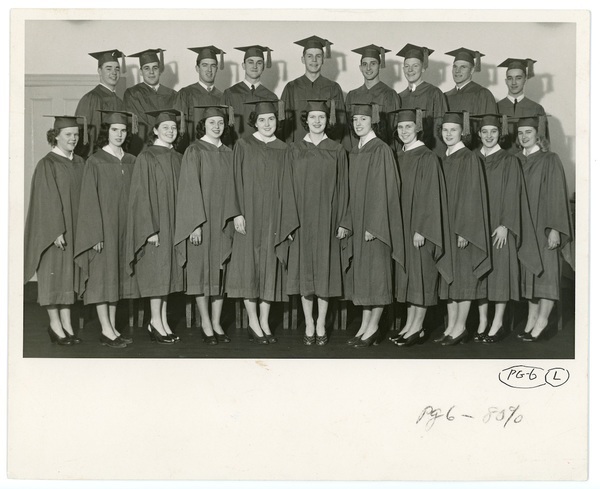 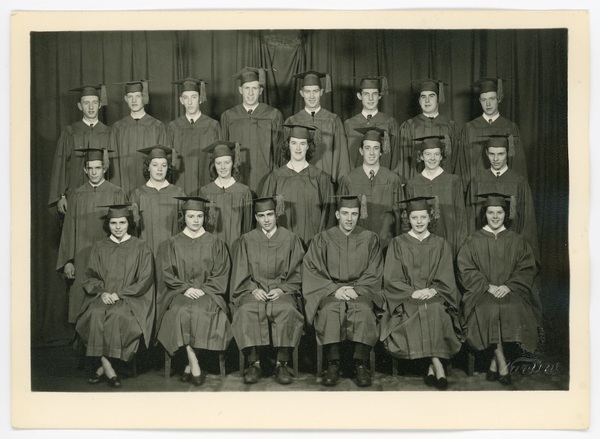 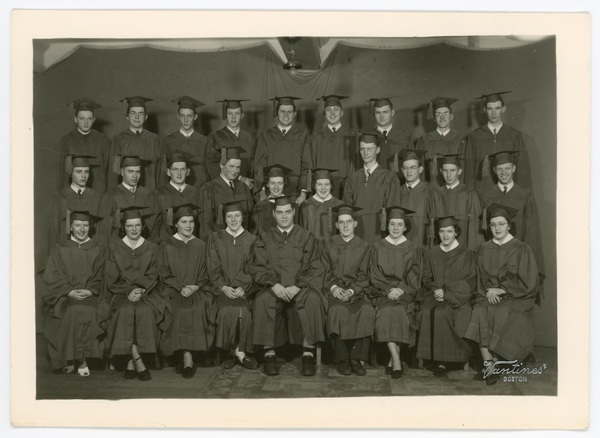 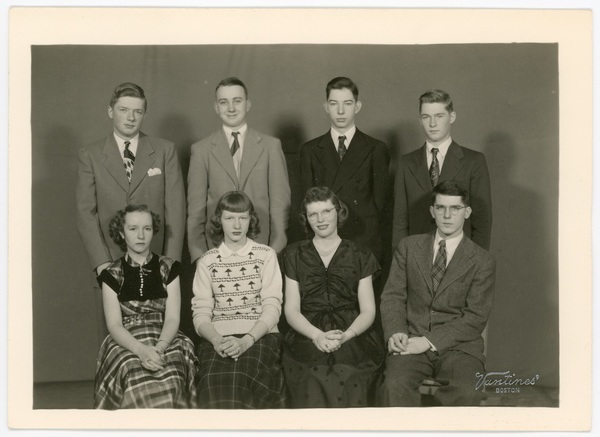 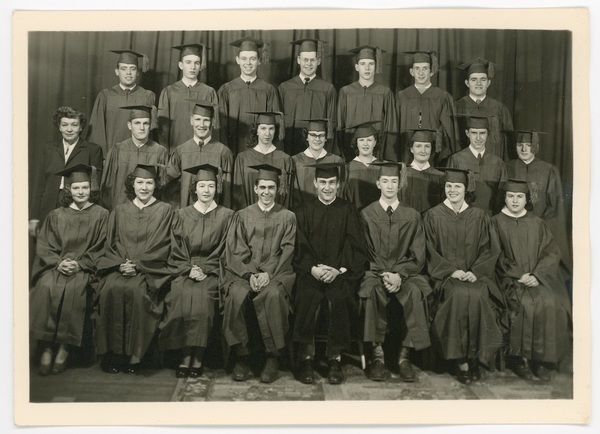 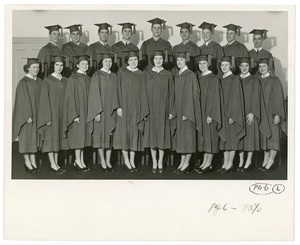 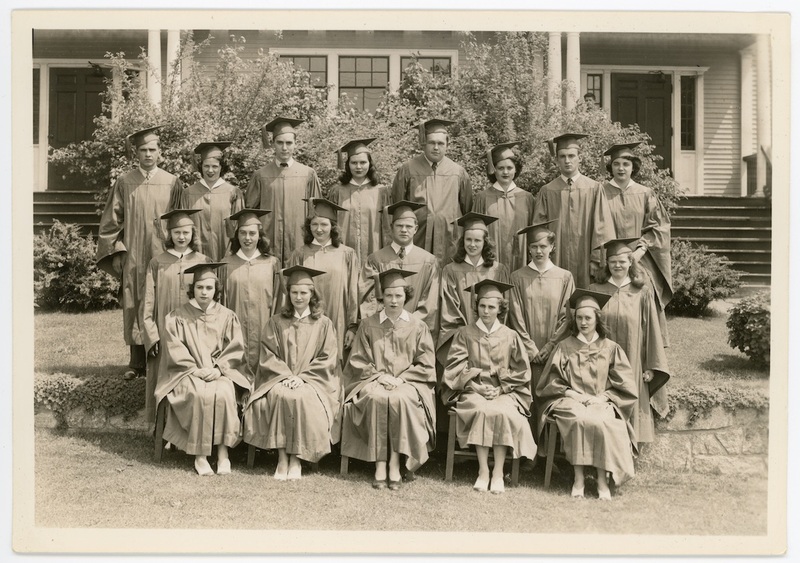 Description:Unidentified graduating class portrait. Three rows of students in caps and gowns. 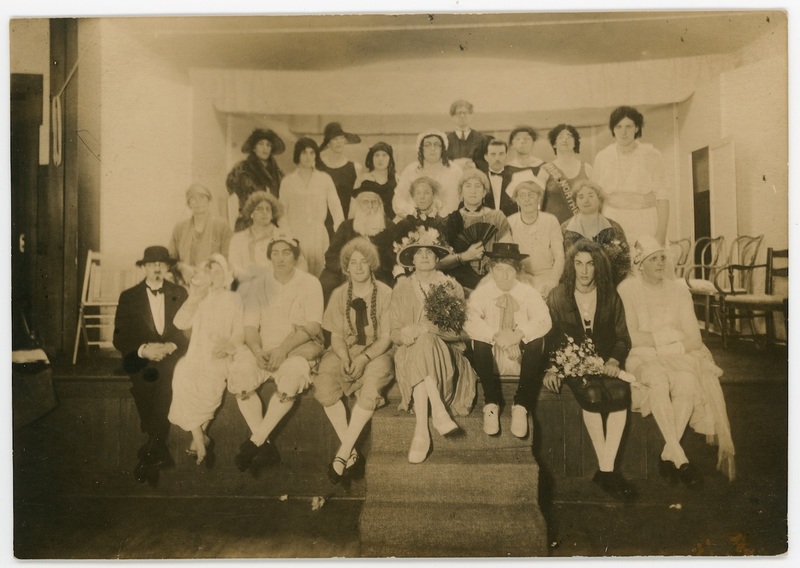 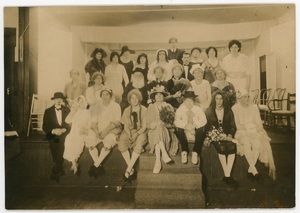 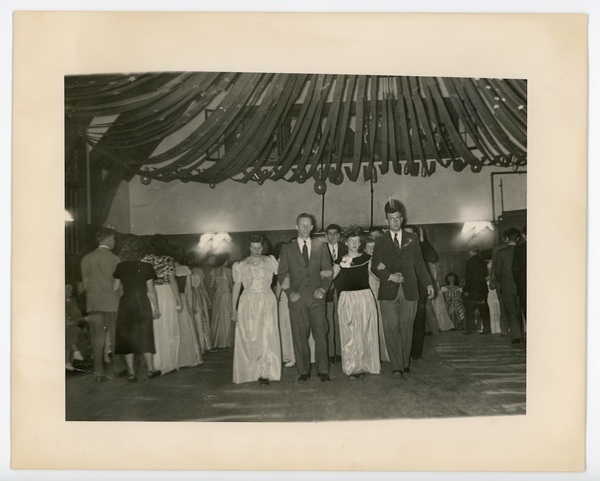 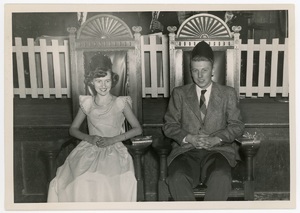 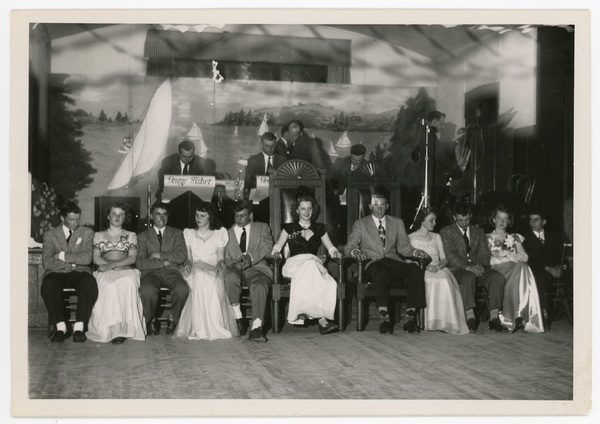 Description:Unidentified group of people dressed up and posing on a stage. 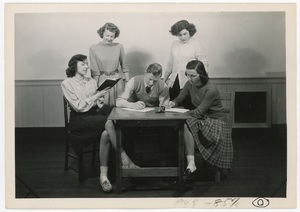 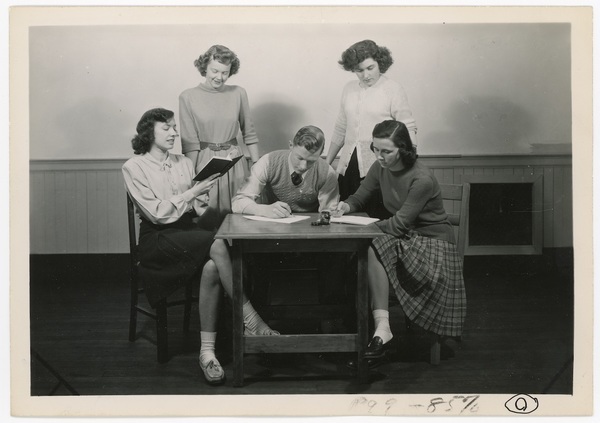 Description:Group of students around a desk: L to R: Muriel Fernald, Anne Walls, James Grant, Marion McCrae, Dorothy Haynes. 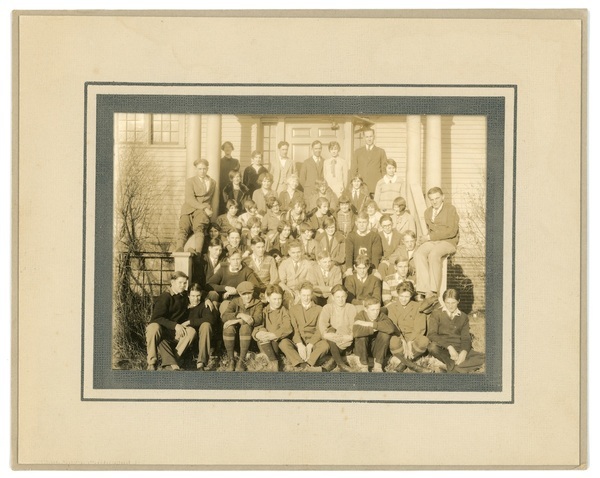 Description:Painting of the Gilman High School in Northeast Harbor during the fall season. 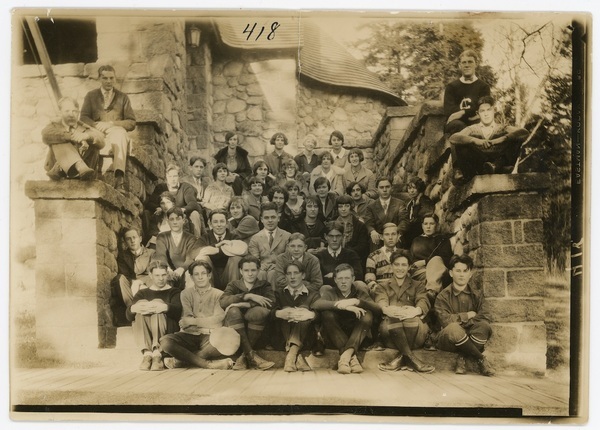 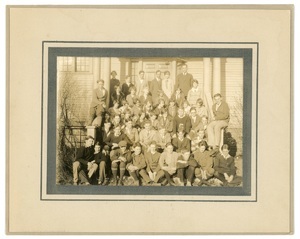 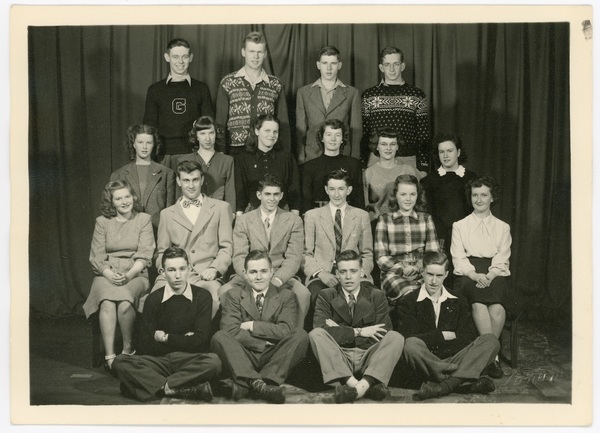 Description:Unidentified group of students in 6 rows posing in front of school On back is written Carl Kelley.